On my second and third days in Bodrum, I was planning to swim and sunbathe on the beach, eat good food, walk heaps and discover more of the center of Bodrum and the peninsula. Gumbet seemed quite lively even though it was May but the roadworks this close to tourist season were kind of interesting. This is one of the premier tourist destinations in Turkey but the municipality here appears to have different priorities, such as using very expensive special stones on the pavements of Bodrum town center instead. I walked from Gumbet to Bodrum early enough in the morning after the breakfast. 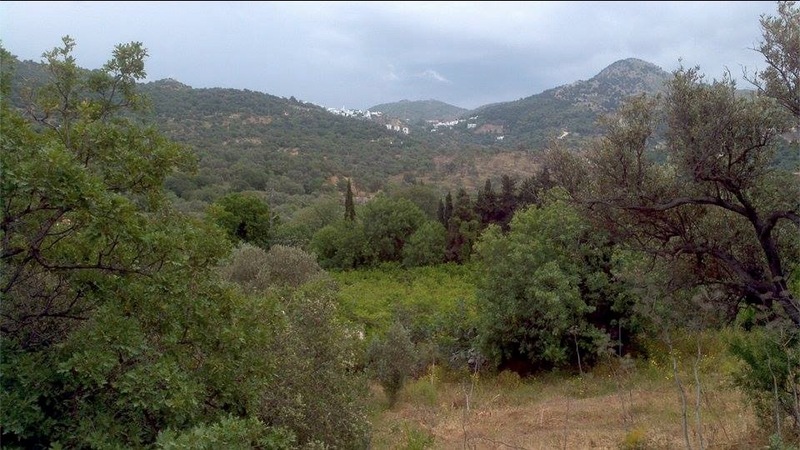 Gumbet to Bodrum is easily walkable as it is only about 2.5-3 km but make no mistake, Bodrum is quite a hilly peninsula and things are not as they seem on the map. But this worked for me very well, with all the hotel meals and wanting to lose a few pounds when on holidays. Like most other destinations in Turkey, Bodrum changed quite a lot over the years and for both good and bad. As I was approaching the city center, I noticed how well-kept and pretty everything was. The first thing I noticed was the pavement stones my friend was talking about, and the interesting contrast and what kind of priorities municipal administration has here. If that is how much he says they cost, they sure are an unnecessary expense. I could see the beautiful cafes, fashionable shops, palm trees and a decent crowd. Bodrum is a very popular holiday destination by the wealthier Turks and also foreign tourists and gets packed here over summer. There were just enough number of people that time of the year. And even in the center, the sea looked very clean and clear. It is a pretty town with white houses and palm trees on both sides of the roads. 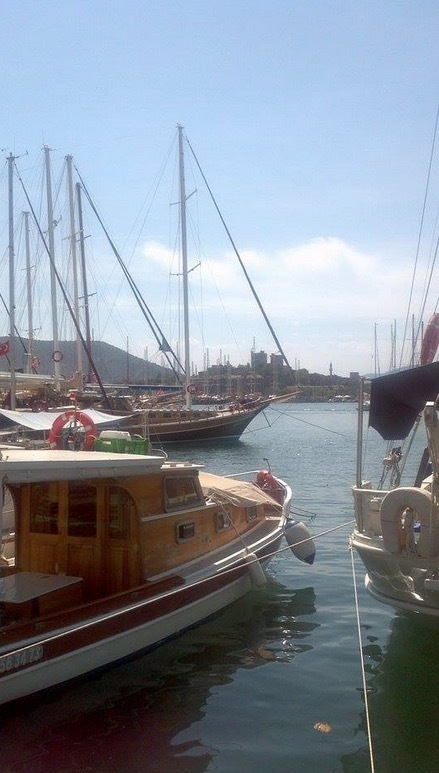 You’ll find a big harbor here with beautiful boats, yachts, and Turkish gulets. You can see the huge castle that was built by the Knights of St Jean from pretty much anywhere. 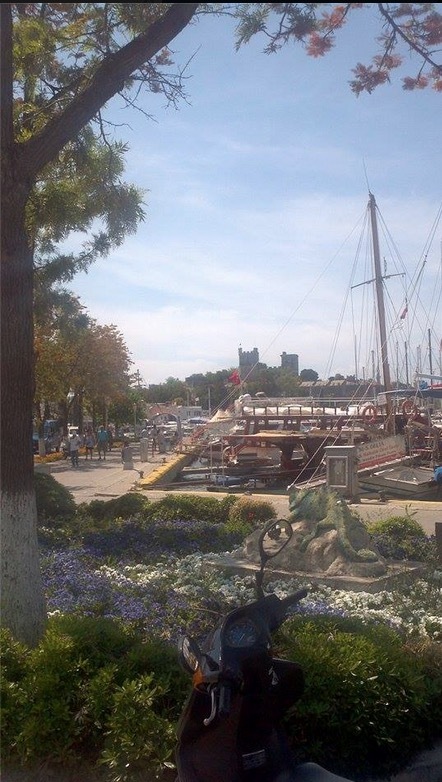 The castle is so beautiful and offers you a beautiful vista from different angles with the sea and the boats. People often point out how expensive Bodrum is, in terms of eating out, holidaying- accommodation and real estate prices by Turkish standards. But when one spends a little time here, it is easier to understand why it is more expensive than other places. It kind of feels like somewhere outside of Turkey and has a nice architectural style- at least all the buildings are not higher than two floors and they’re all white. You do not get the same sense of quality and sense in Marmaris or Fethiye, even though they are superior in terms of how much greener they are. There is a nice vibe here overall, even though the crowds are from different segments of Turkey- the nouveau riche (people with lots of money but no culture), celebrities and lots of wannabes and those who like being seen in posh areas. And if you look at it from the year-round livability perspective, it doesn’t get too quiet in Bodrum over winter and on the contrary, it is claimed to be even more beautiful. It is a bit of a cliche, but the number of Turkish celebrities and wealthy people living or holidaying here is a good indication of what it’s like. It is really good for entertainment and nightlife and is overall an exciting place despite having certain flaws, like too much concrete being built over the years. It has its advantages in terms of climate too, over places in the south, like Marmaris, Fethiye, and Antalya. 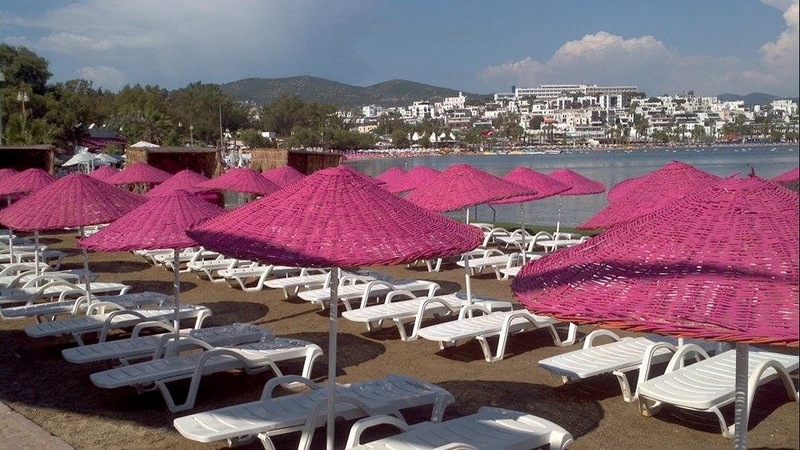 Bodrum gets hot over summer but that is mostly dry heat, that also burns your skin at a deeper level. 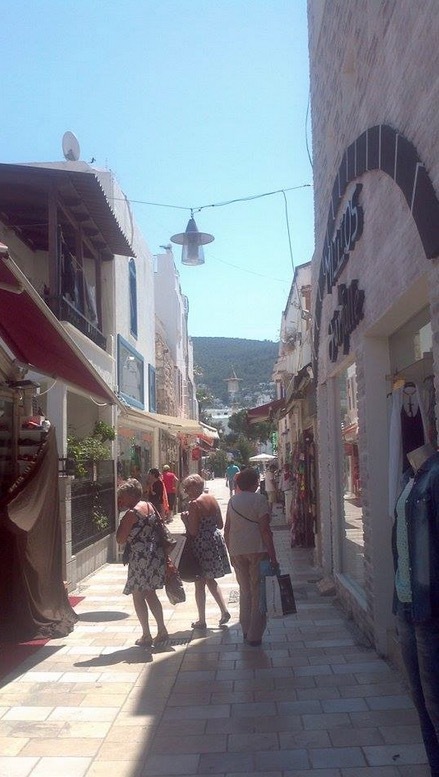 And further south in Marmaris and Antalya, you get both the heat and higher humidity which can be a little uncomfortable.Those that know the older days of Bodrum complain that the town has changed in a very bad way, with lots of concrete and crowds of Istanbul. And the car traffic you get here in peak season is almost like that of Istanbul. I looked at it as a city that one can live in both summer and winter, not as a place to holiday, and it looked like a beautiful small city to me. As far as the big cities go, Antalya is the best, in my opinion, after Istanbul. I headed for the castle and found a beautiful interior, along with very nice views over the sea, town, and the yachts. There is a great museum here, called Bodrum Underwater Archeology Museum, which holds a very important collection. This large castle is on a small and rocky peninsula and you’ll find the Aegean Sea on three sides and the harbor on both sides. 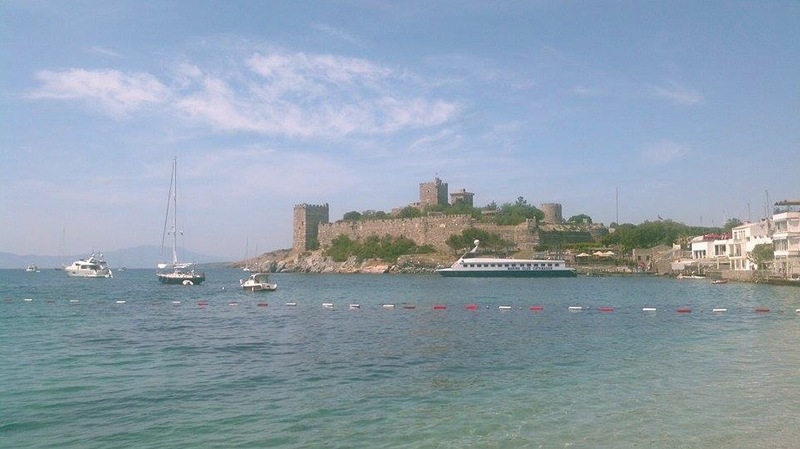 Almost all parts of the Bodrum Castle is being used as an exhibition area for the museum, together with some great exhibition areas- Serçe Harbor Batığı, Uluburun Batığı. This museum is open between 8.30am and 6.30pm between April and October and from 8.30am to 4.30pm in the off-peak season. The entrance fee is 30 liras, which is roughly 8 dollars. Further down you’ll find the Zeki Müren Art Museum. 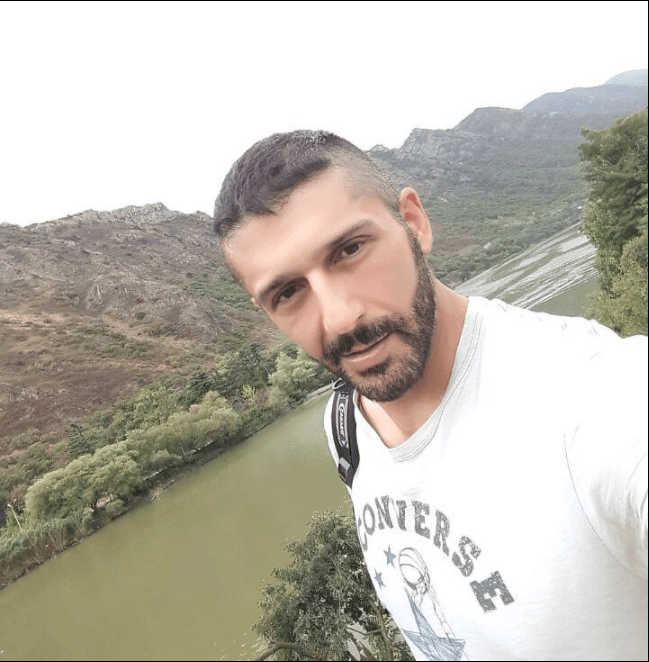 Zeki Müren was a prominent gay Turkish singer and composer with the title of “Sun of Classical Turkish Music” and was often referred to as “Pasha”. The museum is basically the house where the singer lived and was opened in the year 2000 and hundreds of thousands of people visited it since. This is a two-storey Bodrum house, the ground floor is decorated as per the original and the upper floor is the museum and there is a large statue of the singer. Entry fee is 5 liras. Then I headed to the other side of the castle, where the beach and seaside cafes were. I was impressed by how everything was in the town center. I got on the road to Yalikavak, hoping to see the Bodrum Peninsula a little more. Public transportation in Bodrum is not cheap, as compared to other Turkish cities and resorts. And you’ll see a lot of people using motorcycles in Bodrum. It is probably not a very bicycle-friendly place as it happens to be quite hilly. 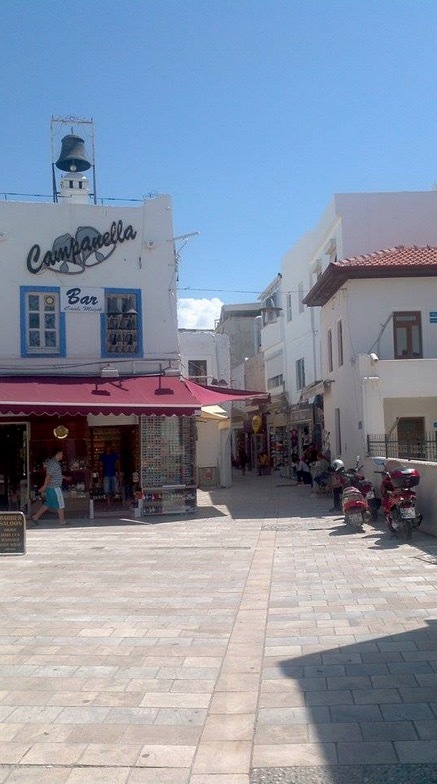 I saw a lot of white buildings and businesses on the sides of the roads, shopping malls, supermarkets like Migros and Kipa, hospitals, furniture and home decoration stores and large electronic type stores. You turn right when you get to Ortakent Yahşi, and not straight ahead like you would head towards Turgutreis and Gümüşlük. Nature here is not bad at all, although there isn’t as much greenery as the Marmaris area, and resembles more the Greek Islands in general. And the quality of tourists is a little better here, or I felt that way. Of course, this is all relative because, in the summer, you get a lot of those people with money and not much culture, the sort that you get more of in eastern cultures. This is the case in Yalikavak area, as is the case in Çeşme Alaçati, which is another exclusive and expensive Turkish resort. Yalikavak was a sleepy fishing town in the old days and became popular afterwards and was occupied by people with money, like the ones in Göltürkbükü down the road, and even by the very wealthy Arabs. 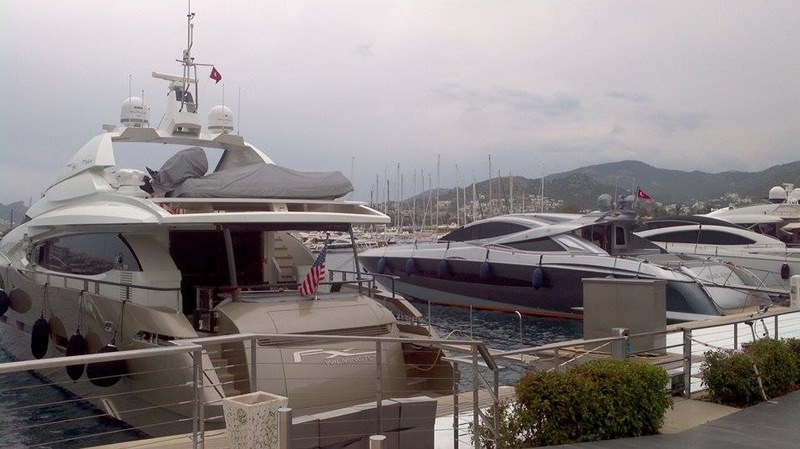 And you can actually tell this from the size of the yachts in Palmarin Marina. 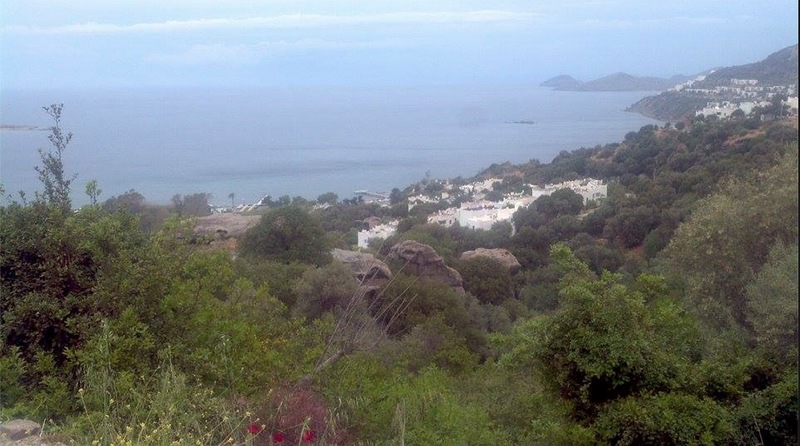 You’ll find very nice beaches in Yalikavak and the sea is very clean, but this side of the peninsula gets quite a bit of wind, just like Turgutreis further south. In summer this would be quite a refreshing breeze from the heat. 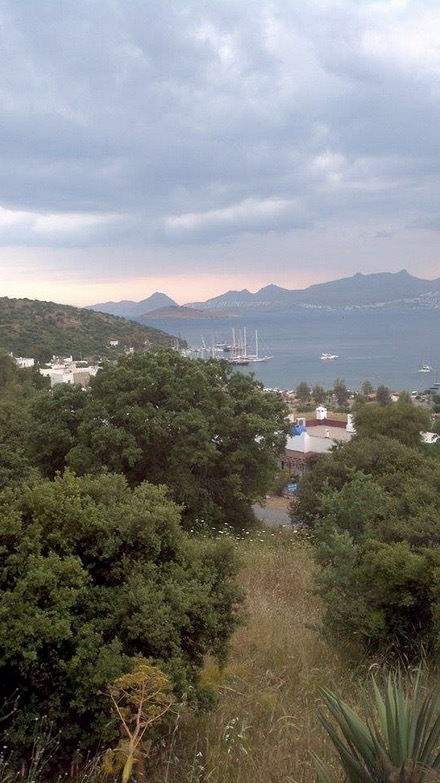 But in winter it can get a little challenging and Bodrum overall gets a lot of rain outside of summer. I had a look around the Yalikavak town center, which is obviously smaller than that of Bodrum’s and was quiet that time of the year. It gets lively and happening during the summer. Yalikavak town center didn’t seem super interesting to me but there may be parts of it I haven’t seen. 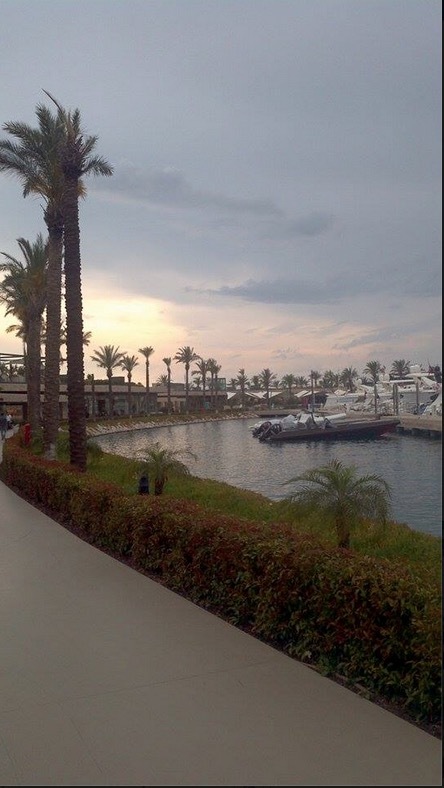 There is a very large brand new shopping and marina complex called Palmarin by the sea. You may see the million dollar yachts anchored here. Well, I actually don’t know the prices but they looked pretty impressive. Then I started walking from the seashore towards Gumusluk as there was no public transport yet and thought I could walk a few km and get on it. The weather wasn’t really sunny, and the temperature was around 25 degrees with a light breeze that made walking comfortable. I saw beautiful landscapes along the way, each time I turned the bays and the hills. 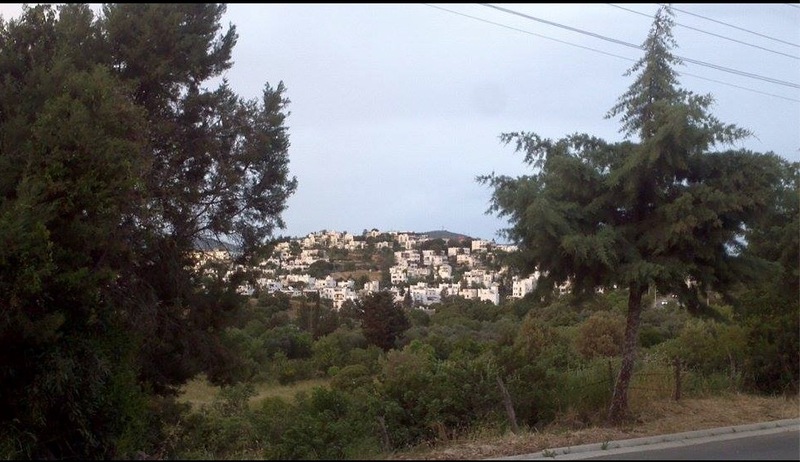 There were a lot of residential complexes between Yalikavak and Gumusluk of one to two-storey houses and most of them looked the same. I thought these Bodrum-style boxy houses lacked character and were kind of ugly, not quite like slums but more like expensive slums with amazing views over the Aegean Sea and the islands. The majority of them seemed to have sea views, and who knows what the prices would be like. I could not see a single supermarket or shop along the way, which may be due to being in the low season as well. Turkey could easily play to the top 3 in the world in terms of natural beauty and the variety of landscapes, culture, and history. But when it comes to architecture and buildings, it does a good job of destroying the nature. After a while, I got on a bus that was traveling towards Gumusluk and we arrived there in less than ten minutes. This is a small and green town with lots of trees and a beautiful sheltered bay of crystal clear water and many fish restaurants. There are many places to eat in the summer evenings, but it is normally a small, peaceful and pretty town. The sea in Gumusluk has the blue flag, there is the Rabbit Island where sunset view is lovely and the Myndos Ancient City is also here. There aren’t many beaches in Gumusluk, as they’re mostly in front of the seafood restaurants and pensions. And to me, this looked like a place more for eating and drinking, rather than beach and swimming. 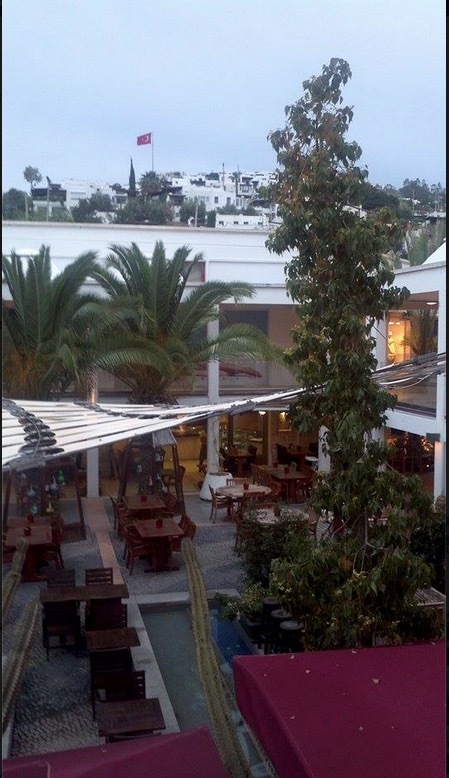 After about 25 to 30 minutes, I got off at Oasis Shopping Mall which is not far from my hotel and with a beautiful authentic Bodrum design. The hills behind the mall are filled with white houses which are probably very expensive too. They seem to be building too many houses and buildings on the peninsula. High-rises or anything more than 2-3 stories are banned in Bodrum so the city seems to grow horizontally. But if you want to know whether I like Bodrum or Marmaris, I’ll definitely say Bodrum. 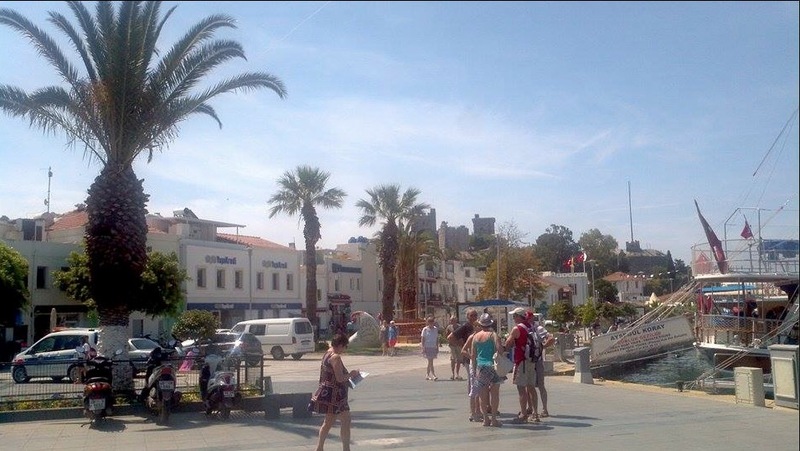 Then I returned to my hotel for dinner and after another breakfast and a lunch the next day and relaxing by the beach in Gumbet, I left Bodrum in the late afternoon by taking one of airport buses by Havas. But overall I had positive feelings about Bodrum and thought I could easily live here, if the real estate prices weren’t so high by Turkish standards. And on the way to airport from the Bodrum Bus Terminal it was all lush and pretty everywhere. Milas Bodrum Airport is not very new but is OK, much better than the airports I saw in some European capitals.